Might be my favorite episode in the series so far. loki3404, easterbasketcasey and j0e like this. People got trolled so hard by those preview shots of Arya with that dagger. LF not going out that easy. Jaded, scrmcasey and easterbasketcasey like this. Doesn't mean he won't die. Sansa just has to get on board. Her face while watching Arya and Brienne fight was hilarious. Last night's episode was amazing. I'm digging psychopath Arya and Littlefinger better watch himself. Loved all the Bronn and hopefully it wasn't the last of him. Also, they're totally wasting Davos this season. 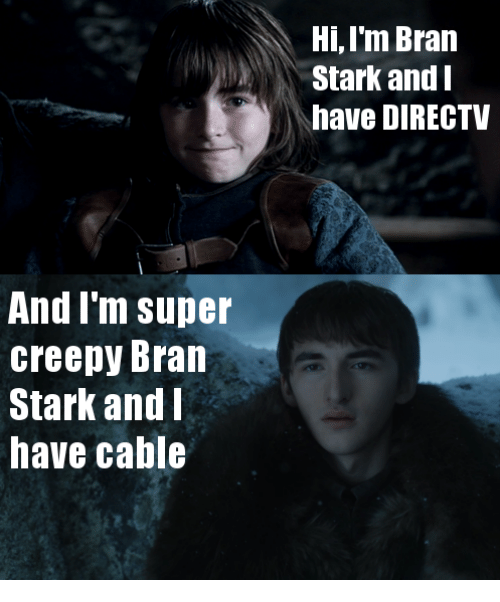 I feel like we missed something with Bran's switch to 100% creepy. This season has been exceptional thus far. Jaded, scrmcasey, loki3404 and 1 other person like this. Sure, maybe, but it's a lot less likely than it was before it was revealed how Arya got that dagger. LF has been built up as some sort of next level master of puppets since the beginning, and compared to the other main characters, less has been revealed about him than anyone. 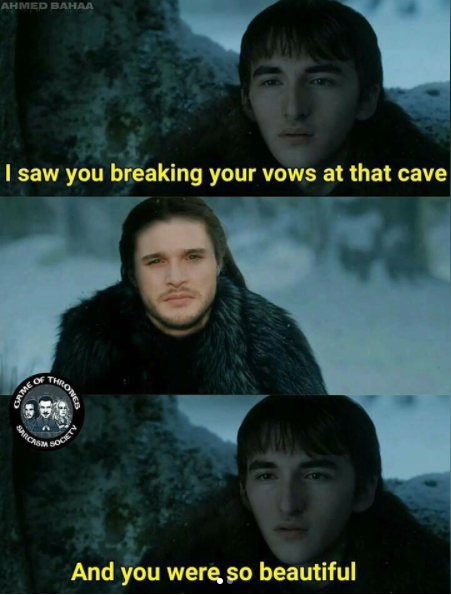 It wouldn't make much sense if he just got murdered by one of the Stark kids at this point. At there very least, there's going to have to be some time dedicated to telling his story before he's done. 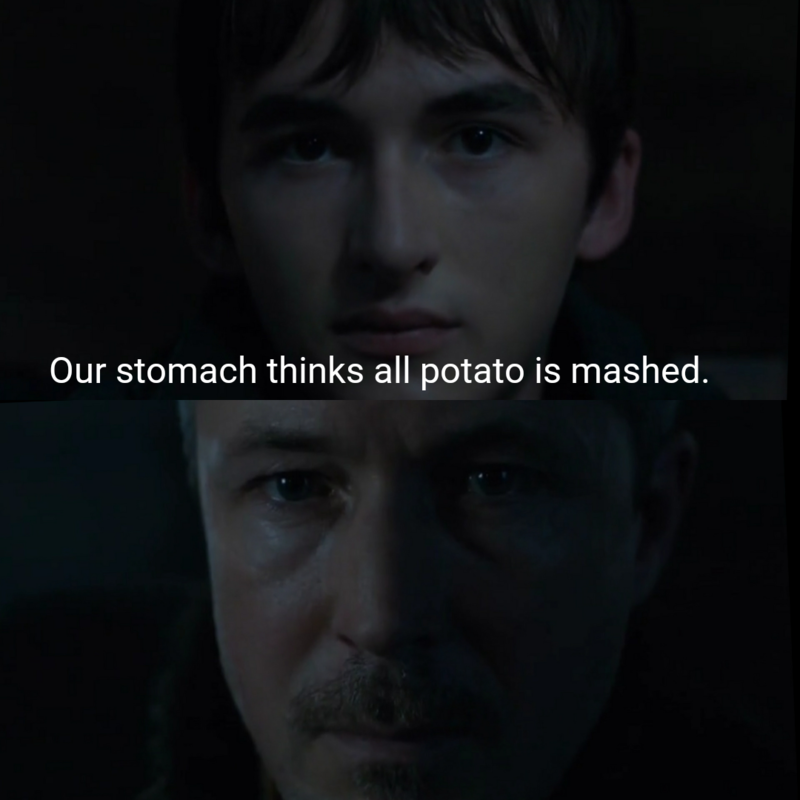 I agree there will be more said about Littlefinger.... and also still think he's going to die, most likely when Bran reveals things as necessary. That "chaos is a ladder" line is no throwaway. Miriette, scrmcasey, loki3404 and 1 other person like this. I came here to make sure this was posted. <Gucci> and loki3404 like this. <Gucci>, Jaded, TinaBanina and 3 others like this. Jaded, j0e, Miriette and 3 others like this. 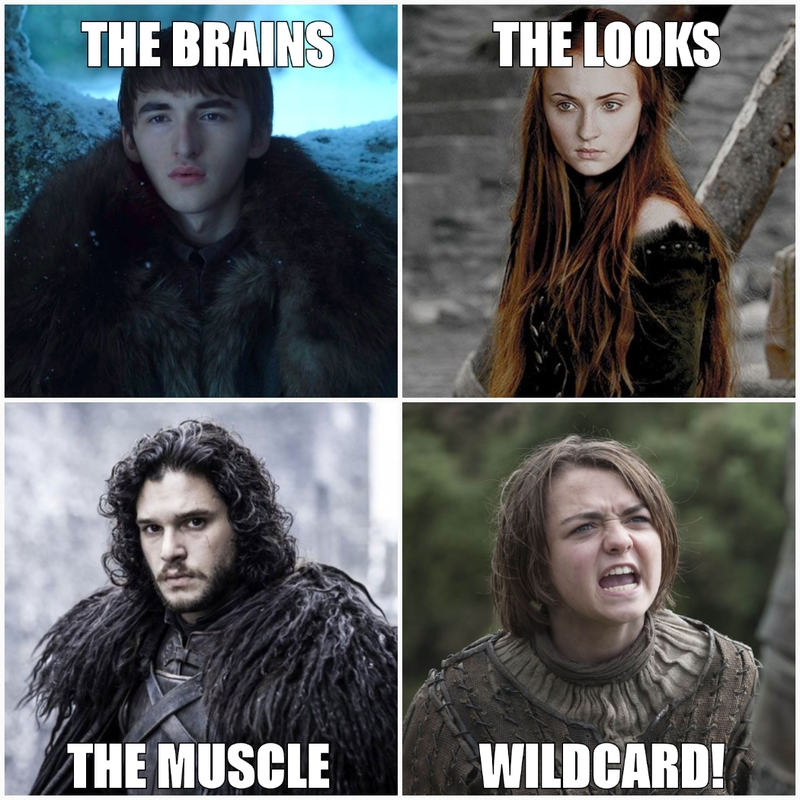 I always did identify with Arya. scrmcasey and loki3404 like this. Jaded, Miriette, j0e and 1 other person like this. Jaded, easterbasketcasey and j0e like this. Jaded, Delimon, j0e and 1 other person like this.